Any day now, the long-awaited report of the Princeton Alexander Street-University Place MOU Transit Task Force is due to be published. The Task Force was established to investigate opportunities for upgrading transit service along the key Alexander Street corridor leading into downtown Princeton. Among the possibilities under discussion is the idea of replacing the aging Arrow II heavy rail train service between Princeton Junction and Princeton Station with a modern streetcar or light rail. With the chance of streetcars returning to Princeton’s streets, it’s worth remembering the glory days of the old streetcars, which connected Princeton and Trenton in the early years of the 20th century. Trolley service between Trenton and Princeton began November 17, 1901. The terminus in Princeton was on Witherspoon Street, several hundred feet north of Nassau Street. At their height, trolleys ran on two routes, one heading west over what is now Route 206 through Lawrence to Trenton, and another heading along what is now the ‘Trolley Line Trail’ in the Institute Woods. In the late 1890s / early 1900s, electric trolley service was the way of the future- a speedy, quiet and clean alternative to the horse-drawn carriages that preceded them. People flocked to board the new trolley cars. There were no transit studies or public subsidies for transit in those days- instead, entrepreneurs clamored to acquire rights-of-way to run new trolley services. The rush to build new transit service was so great that it led to skirmishes between rival companies, who occasionally would lay track without permits. The history of the Princeton – Trenton lines is laid out in glorious detail in ‘Electric Traction Quarterly (*vol 4, no. 1 -1 965), which includes details, for example, of the violent standoff between trolley crews and the local fire company in Doylestown in 1899. 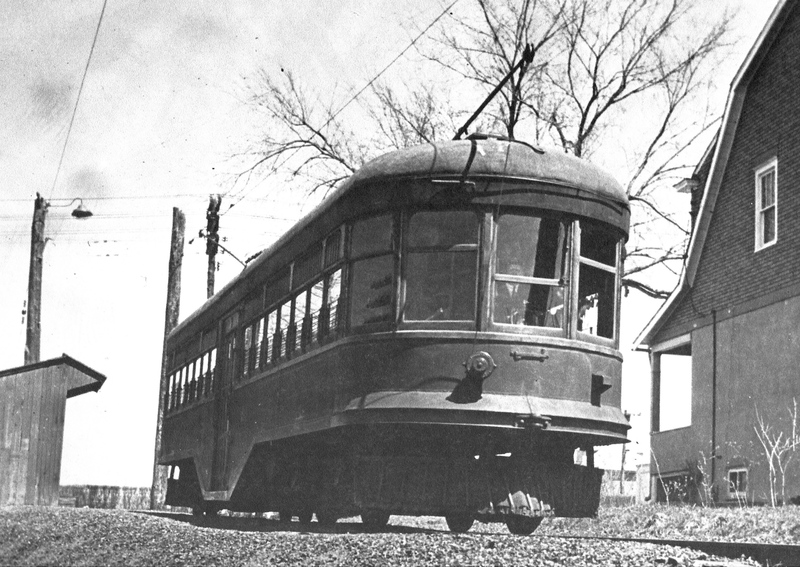 For a few years, trolleys ran successfully and profitably between Princeton and Trenton. But the businessmen who ran the trolley cars were clearly tempted to cut corners on maintenance, however, and by 1911, the original Princeton – Trenton service operated by the New Jersey and Pennsylvania Traction system was already hampered by regular breakdowns. The company was shut down by state authorities, and taken over by the Buck County Electric Railway. This reinvigorated the service. Trolley cars ran on a 45-minute headway through the week, with 30-minute headways on Saturday afternoons, at a time when the population of Princeton was a fraction of what it is today. (The NJ Transit 606 bus service, which connects Princeton and Trenton today, runs every 70 mins). 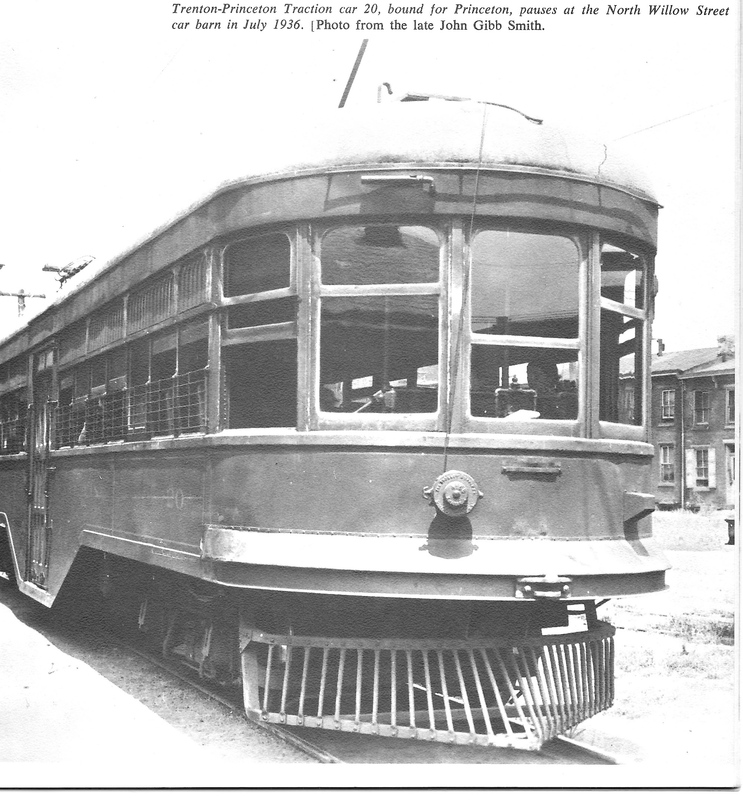 In the 1920s, passenger volume began to decline on trolley routes around Trenton. Passenger volumes between Princeton and Trenton peaked at 1.65 million in 1921, but had dropped to 540,000 passengers by 1932, at which point the company first requested to discontinue service. (Current ridership on the Princeton ‘Dinky’ rail service is estimated at around 40,000 per month, equivalent to ~500,000 per year). 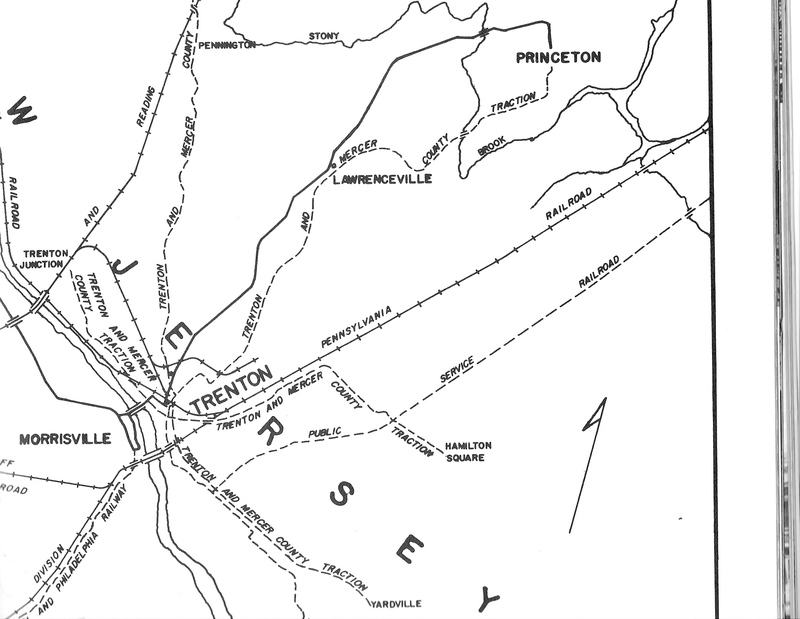 But the line between Princeton and Trenton survived all the way until November 1, 1940, at which point passenger volume was just 235,000 per year. The era of the streetcar had ended in Princeton, and the ascendance of the motor car was complete. Do you see a future for modern streetcars in Princeton? Or do you remember the old streetcars? Have your say in the comments section below. This entry was posted in Alternative Transportation, planning, Transit and tagged Princeton, streetcar, Transit. Bookmark the permalink.